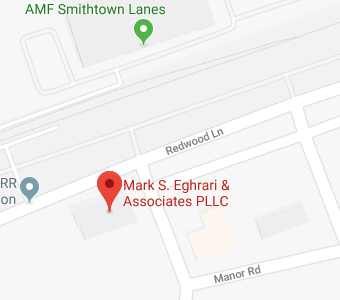 Mark S. Eghrari & Associates, PLLC provides representation to clients who live in Brentwood, New York. Brentwood is located within the Town of Islip. It is considered to be a hamlet and it has an interesting history because in 1851, it became a utopian colony called Modern Times. However, by 1864, the area’s name changed to Brentwood after a town in England called Brentwood, Essex. The utopian community had strict rules regarding the size of lots, the cost of lots, and the fact that all goods produced were considered private property. There was a local private currency in the town, and it was strongly based on the idea of individual sovereignty. Today, Brentwood is no longer operating as a specific utopian community with these governing rules. The hamlet is considered to be part of Suffolk County, New York and it had a population of more than 60,600 people as of the most recent census. If you live in or around the Brentwood area, you should make certain that you have worked with a compassionate and knowledgeable elder law attorney at Mark S. Eghrari & Associates, PLLC to take control over your future. We can help you to put plans in place to secure your legacy, provide for your loved ones, and ensure that your assets can pass seamlessly through heirs or beneficiaries. We also provide representation during the probate process, which is the process by which assets are transferred after a death unless alternative plans are made such as creating a trust to pass assets through the trust administration. To find out more about the ways in which our firm can provide you with help during probate, give us a call. You can also read on to find out about some key probate resources in Brentwood that could help you cope with the probate process. Provides details about the Suffolk County probate court system. Explains where probate proceedings take place, which is the Surrogate’s Court in Suffolk County. Details how to find the Surrogate’s Court, which is located at 320 Center Driver, Riverhead, NY 11901. Provides contact information for the Suffolk County Surrogate’s Court, which can be reached at 631-852-1713. Brentwood residents can also find helpful resources from the website of the New York Courts. This page provides more general information about how court systems in the state handle proceedings in which estates are probated. There is also information available about jurisdiction over guardianship proceedings. These proceedings also take place in surrogate’s court, but are intended to have a guardian or conservator named for someone who is unable to manage his or her own affairs due to physical or mental impairment. If you are involved in probate proceedings, either to have a guardian or conservator named or because your loved one has passed on, Mark S. Eghrari & Associates, PLLC can provide representation so you can navigate the court process effectively. In the state of New York, some larger estates are subject to estate tax. The federal government also taxes certain estates as well, but tax reform resulted in fewer estates owing taxes to the IRS. It is important to understand whether your estate will be subject to estate tax, as there are steps Mark S. Eghrari & Associates, PLLC can help you to take to try to reduce or avoid these taxes if you act early. Details on what estates will be taxed. Estates below set exemption limits will not be subject to estate tax. Further, if an estate is passed entirely to a spouse, the transfer of wealth to a husband or a wife will not be subject to estate tax. Information on estate tax rates: This information will provide you with insight into how much your estate could potentially owe in taxes depending upon the value of the estate that will be taxed and the federal or state tax rates that will apply. Information on how taxes are collected: You’ll learn which tax forms you need to file, filing deadlines, and other details about how your estate will pay the taxes that are due after your death. Mark S. Eghrari & Associates, PLLC can also help you to determine if your estate is going to be taxed or not, and can assist you with taking steps to try to avoid paying a big tax bill after your death. Brentwood probate lawyers at Mark S. Eghrari & Associates, PLLC can help you to take steps so your loved ones do not need to go through the probate process. If you are making an estate plan and want to spare your family the stress and hassle associated with probate, you should give us a call to get help using tools such as trusts, pay on death accounts, and more. We can also provide you with assistance during the entirety of the probate process. If you have been named executor of an estate, we will help you to fulfill your role. If you expect to inherit after a death, we can provide representation to potential heirs or beneficiaries who want help protecting the money or property that will pass on to them. And, if you believe it is appropriate to contest a will that isn’t an accurate reflection of the wishes of the deceased, we’ll help you understand the law and make appropriate arguments. To find out more about how our firm can help you with probate issues and more, join us for a free seminar. You can also give us a call at (631) 265-0599 or contact us online at any time.